Halt your rainmaking ceremony right there: technology is coming to the agricultural scene! Tech has come in to improve productivity, enhance quality, cut cost and save time. This change has been pioneered by several other cases: in Israel where most landscape remains futile and dry, hydro-technology has been introduced to boost harvest; in the Netherlands where spaces is a rare and precious asset, digital has intervened to enhance the quality of the crops, etc. 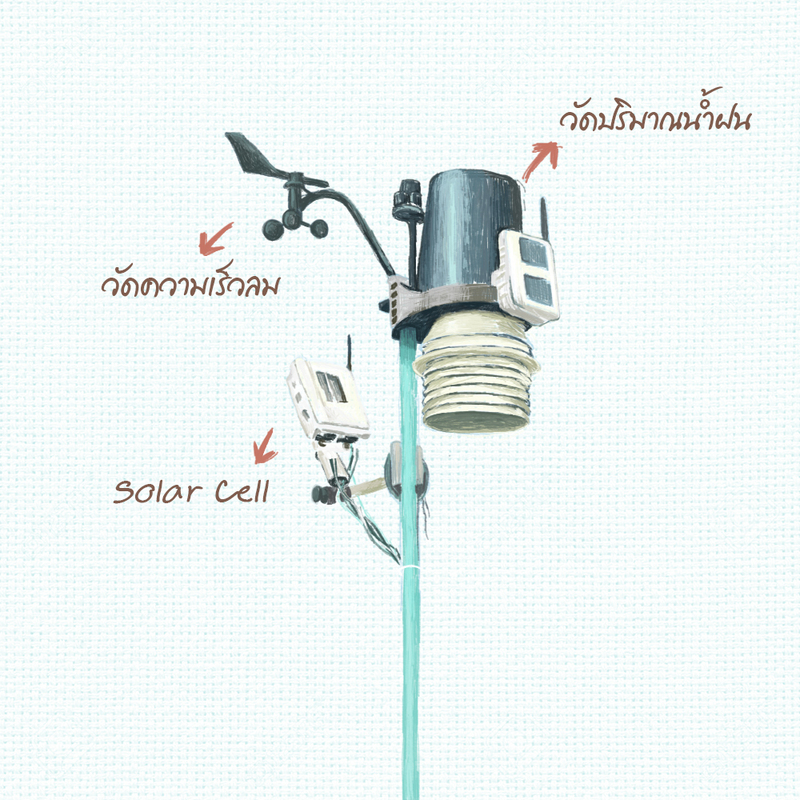 Micro-Climate Monitoring System Mahidol University and Granmonte Farm have joined force to create this unprecedented device. By taking air and ground temperature and humidity, light intensity, wind speed, and air pressure, the device collects data and produces reports that may be applied to increase production and prevent foreseeable risks. Another function of the device is irrigation, which functions automatically when low group humidity is detected. The system is also connected, and users can access real time reports at all time. With the device, you can actually run an orchard without physically being in one. 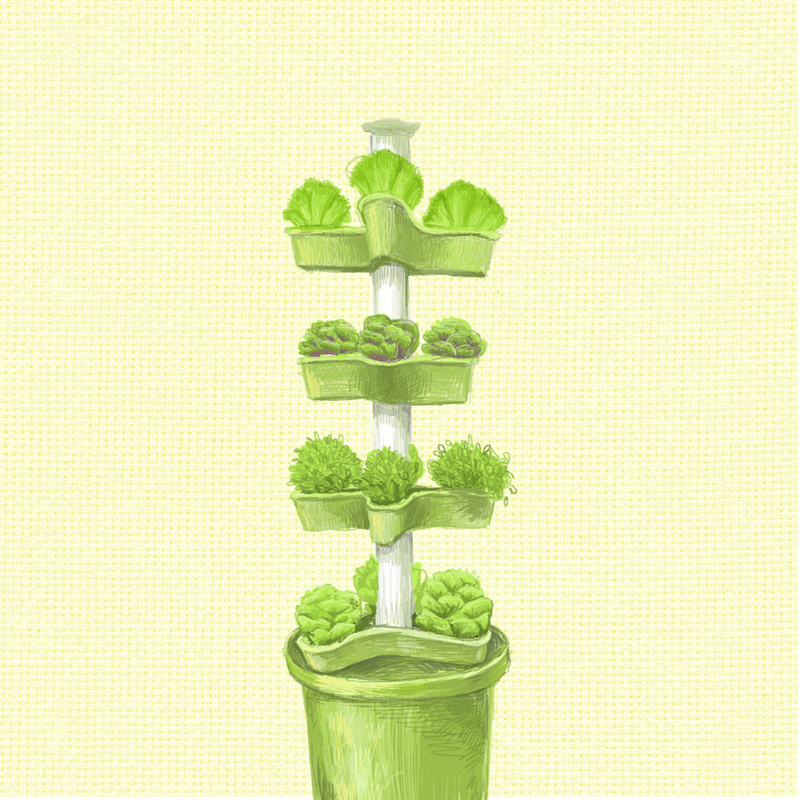 Vertical Gardening Kit Monchai Saewong from Thai Advanced Agri Tech company was the one to come up with this idea. Compared to classic gardening in an area of the same size, Vertical Gardening can minimise up to as many as 3 times the space, requires less effort to maintain, and yields better-quality products. The kit is made from 100% food grade plastic that will not disintegrate with contact with planting materials and the plant itself and lasts for 4-5 years. Plus, it allows the plant to better absorb nutrients and liquid, and takes 50% less time to grow. Gardening Applications With IoT (Internet of Things), producers can now access reports on their progress from their electronic devices of choice. The applications also let them manage, plan, and predict harvesting trends from a distance. 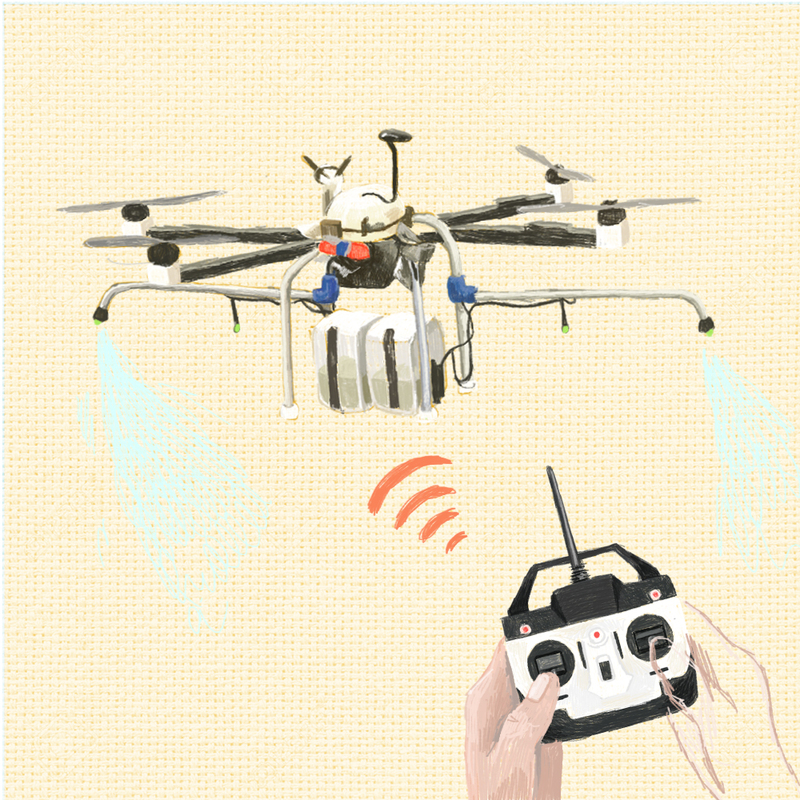 Insecticide Drone Developed by FarmD Asia, this drone can automatically or manually spray insecticide from the air. Not only does the drone economise working hours, but it also minimises workers’ contact with the chemicals. Smart Farm Kit Produced by the Faculty of Science and Technology, Thammasart University, this automated irrigation system is the co-functioning of 3 separate parts: the irrigation tap, which manages watering according to the type of plants; the weather monitor, which receives data and adjusts the irrigation accordingly; and the output, which reports the status of your garden in real time on your personal devices.